Many philosophies and methods of teaching a second or foreign language exist, from rote memorization of vocabulary to the study of specific grammar points and verb conjugations to pure communication with little emphasis on accuracy. 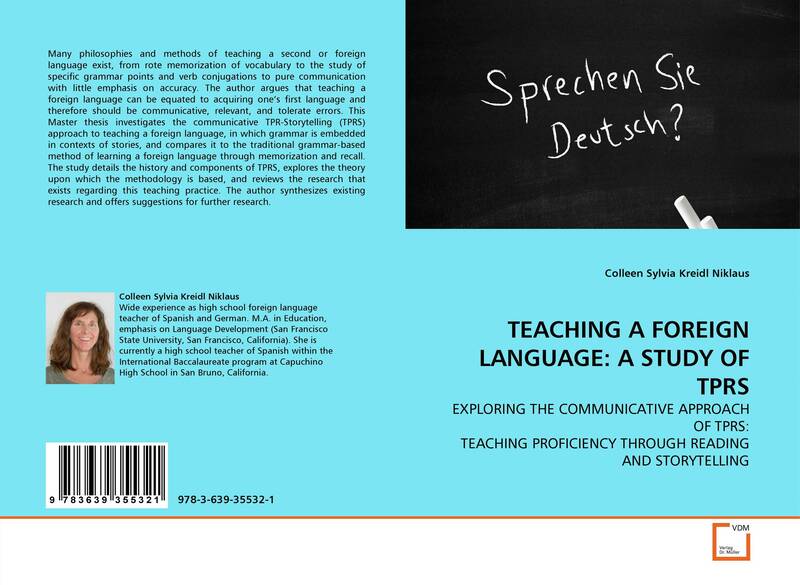 The author argues that teaching a foreign language can be equated to acquiring one''s first language and therefore should be communicative, relevant, and tolerate errors. This Master thesis investigates the communicative TPR-Storytelling (TPRS) approach to teaching a foreign language, in which grammar is embedded in contexts of stories, and compares it to the traditional grammar-based method of learning a foreign language through memorization and recall. The study details the history and components of TPRS, explores the theory upon which the methodology is based, and reviews the research that exists regarding this teaching practice. The author synthesizes existing research and offers suggestions for further research.